Announcement Welcome! Filigree Pheasant features personalized, hand stamped jewelry for all occasions. ►CURRENT HOLIDAY PRODUCTION: 7 business days (weekends/holidays excluded). RUSH order?? If you need your order before the posted production PLEASE message me BEFORE PURCHASE to be sure I can accommodate the request. RUSH orders will require PRIORITY mail upgrade in the checkout area. PLEASE MESSAGE ME BEFORE PURCHASE to let me know when your item is needed if you select this shipping option. There are times when I cannot process rush orders so please message be in advance! ►PAYMENTS: Payments are processed via Etsy or PayPal. Paypal is preferred. ITEM DETAILS: Please be sure to view all photos and read item details. Photos are NOT actual size. There is a note box located in the checkout/payment area and that is a great place to leave any pertinent information for your order. Due to customs, packages can take 10 - 45 business days for arrival - depending on country customs. Shipping is 10.00 - 15.00 depending on location. Please see the shop polices section for more information on this shop. Welcome! Filigree Pheasant features personalized, hand stamped jewelry for all occasions. ►CURRENT HOLIDAY PRODUCTION: 7 business days (weekends/holidays excluded). These flowers were the perfect last addition to our nursery for our daughter!! They were everything we hoped for!! They did take a little time to get to us but definitely worth the wait and the shop owner is so amazing with responding to any questions you have throughout very promptly!! I will definitely be purchasing again! 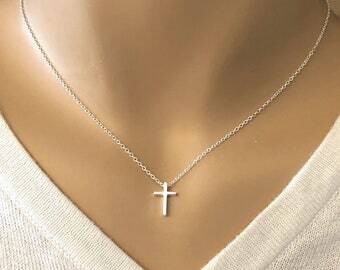 Perfect gift for my daughter on her first communion. Tiny birthstone necklace in your choice of stone! Makes a great mothers necklace. 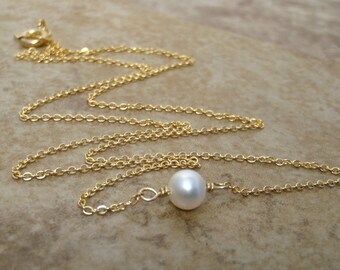 This dainty style looks sweet alone or layered with other necklaces! 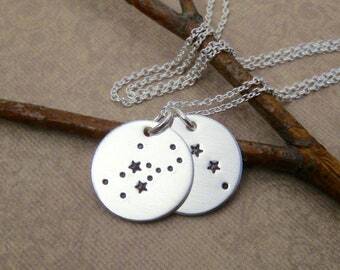 Star gazing and summer nights go hand in hand... A Custom made constellation necklace is the perfect, personalized gift! Blessed by this family and their love and encouragement in my Etsy endeavor! My dad's vintage letter stamp set - I use them today! Gems are so amazing with their wide range of colors. Always playing with a new idea. Years ago, I purchased bracelets and remodeled them to fit my small wrist. By time I was done with my remodel project the bracelet would be a completely different style. Which was good – because I didn’t like to wear jewelry that everyone else had. Overtime I stopped purchasing and remodeling, and I discovered the joy of creating jewelry by purchasing beads, charms and various findings - and so The Filigree Pheasant was born. My first love was beaded jewelry. Stone beads are so amazing...agates, turquoise, jasper, semi-precious stones and on and on. Along the way I learned to solder and would solder everything from glass to vintage game pieces. Fusing metals is also a process I enjoy. I love combining silver and copper components. In 2006 "The Filigree Pheasant" was established and in 2009 I opened my Etsy shop... featuring hand stamped and personalized jewelry. This is what I feature here on Etsy. So much joy comes from creating something personal and sentimental for someone. My shop motto is...No two women are exactly the same. Why should their jewelry be? Welcome to Filigree Pheasant - Hand stamped jewelry for all occasions. Thank you to my wonderful customers for your support and amazing reviews. ►CURRENT HOLIDAY PRODUCTION: 7 business days (weekends/holidays excluded. RUSH ORDERS?? If you need your order before the posted production PLEASE message me BEFORE PURCHASE to be sure I can accommodate the request. RUSH orders will require PRIORITY mail upgrade in the checkout area. PLEASE MESSAGE ME BEFORE PURCHASE to let me know when your item is needed if you select this shipping option. There are times when I cannot process rush orders so please message be in advance! PAYMENTS: Payments are processed via Etsy or PayPal. PayPal is preferred. PLEASE READ ITEM DESCRIPTIONS: Computer photos are NOT actual size. Please see all photo views in listings and read item description for size and dimensions. If you need further size clarification please message me before purchase and I will be happy to help. By making a purchase, you acknowledge that you have read and understand the size and dimensions of your purchase. The time I need to prepare an order for shipping varies. For details, see individual items. hands. Hand stamping can not achieve the look of machine engraving. Never leave children unattended when jewelry is worn. Babies and children under the age of 5 should only wear jewelry as photo props or special events and should be supervised at all times when the jewelry item is worn. Consumer accepts all responsibility by purchasing and using these products for children. Please contact me via Etsy message system. Personal calls are not made due to time zone differences as well as needing a written account of order requests and order details. Jewelry designs and photos are the property of The Filigree Pheasant. Posting or copying my images infringes exclusive intellectual property copyrights. Personalized/custom items cannot be returned or exchanged (unless I have made a spelling error). Non Personalized items can be exchanged. Item must be returned in their new, unworn and in original packaging within 1 week. Original shipping is non refundable. Buyer is responsible for return shipping costs with USPS tracking. -Due to the nature of personalized/custom jewelry, such items cannot be returned or exchanged (unless I have made a spelling error). -Chain Length Exchange: Did you make an error in ordering a chain length?? If needing a longer or shorter chain length... Item must be returned in their new, unworn and in original packaging within 1 week. Original shipping and return shipping is non refundable. Buyer is responsible for return shipping costs with USPS tracking. -Exchanges are not allowed due to size of items... All sizes are stated in item descriptions. Any orders that are refused at customs due to VAT fees or Customs charges and returned to sender will NOT be refunded. ►Payments are accepted via PayPal or by credit cards which Etsy processes. ►Current production time for "PERSONALIZED" items is 5-6 *business days" >>Monday - Friday are business days... Weekends and Holidays are NOT included as business days. Standard USPS delivery time (once item ships) varies from 3-5 *business days, depending on USPS zone. ►RUSH order?? If you need your order before the posted production PLEASE message me BEFORE PURCHASE to be sure I can accommodate the request. RUSH orders will require PRIORITY mail upgrade in the checkout area. PLEASE MESSAGE ME BEFORE PURCHASE to let me know when your item is needed as there are times when I cannot process rush orders so PLEASE message be in advance! ►PHOTOS ARE NOT ACTUAL SIZE. Due to customs, packages can take 10, to over 45 business days for arrival. Any orders that are refused at customs due to VAT fees or Customs charges will NOT be refunded. ►Cancellation Policy: Filigree Pheasant reserves the right to cancel orders that cannot be completed due to lack of information to complete the order. I will contact you if information is missing to complete your order. If no response after two attempts... I will need to cancel the order. Thank you for understanding! ►Personalized/custom items cannot be returned or exchanged (unless I have made a spelling error). Feel free to message me via Etsy if you have any questions. ►CONTACT INFORMATION: If you have questions please message me via Etsy. I do not make phone calls due to time zone differences, as well as the need to have written records of order details. Thank you for understanding. 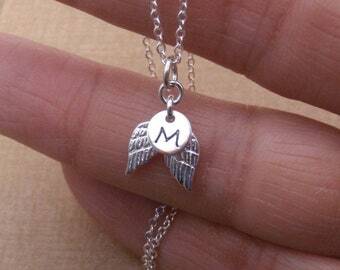 ►JEWELRY DETAILS: I use sterling silver and gold fill materials in my personalized, hand stamped, jewelry items and chains unless otherwise noted in item descriptions. Sterling silver and gold fill metals are safe for most skin types and DO NOT contain nickle or lead. ►ALUMINUM CUFFS: Aluminum used for my aluminum cuffs which DO NOT contain nickle and lead. Other metals such as copper, brass and antique brass are used in my vintage inspired items. 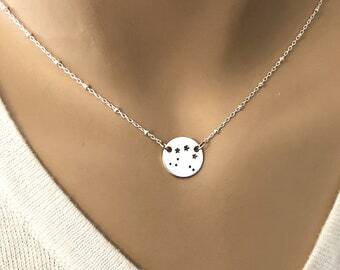 ►HAND STAMPED JEWELRY: Each necklace is hand stamped by me, not a machine, so imperfections in letter spacing is considered part of the charm of having something made by a persons own hands. 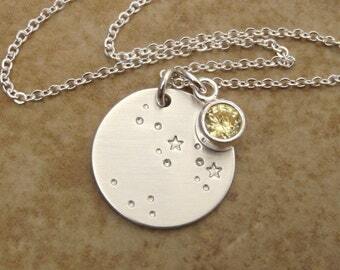 If you are looking for personalized pieces that have a machine engraved look, this is not the jewelry for your tastes. 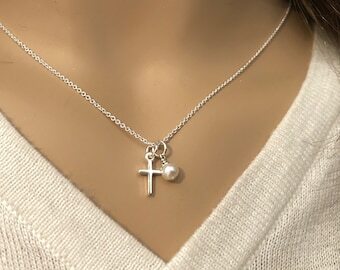 Your child's jewelry is a keepsake that serves as a memorable reminder of a special childhood event such as a baptism, a first communion, first birthday, or another special event. Filigree Pheasant jewelry items are NOT intended for babies. Supervise young children while wearing any jewelry items. Remove jewelry before napping, riding in a car seat, bath-time, unattended playtime, or bedtime. Remember, jewelry safety is your responsibility. Only you can determine the suitability of your purchase for your child. Consumer accepts all responsibility by purchasing and using these products. Sterling silver consists of 92.5% pure silver and 7.5% copper. Fine silver contains 99.9% pure silver. ►GOLD FILLED: Gold filled is an actual layer of gold-mechanically, pressure bonded to another metal (usually copper or brass). Gold filled is not to be confused with gold plating....It does not flake or rub off like gold plating. Most people who can wear gold can wear gold filled without allergic reaction. ► VERMEIL: is sterling silver that has been gold-plated with 22K-24K gold. The difference between vermeil, and gold-filled, is in the thickness of the gold and the gold bonding process. I only use vermeil for limited gold bead caps. Each Filigree Pheasant piece is created with care. The following guidelines will help keep your jewelry in its original condition. Do not sleep, swim, or shower in jewelry. Avoid contact with lotions and sprays, perfumes. Humidity causes tarnish so do not store jewelry in the shower. Storing jewelry in an air tight environment will help reduce tarnish. All sterling silver jewelry will tarnish. However, tarnish can be removed. A process called Oxidation causes sterling silver to tarnish. Always remove your jewelry before putting on makeup, lotions, and perfumes or using hair products. Make sure these products have had time to absorb into your skin before you put your jewelry back on. Do not handle your jewelry after putting on hand lotion. Certain things like rubber, latex, chlorine, perspiration, and sulfur and humidity cause tarnish. Never wear your jewelry when working with detergents, bleaches, or any other household chemicals, as they will cause discoloration of the silver. Never wear your sterling silver jewelry in a hot tub, mineral spring, swimming pool, or any other chemically treated water. To reduce tarnish, store jewelry in an air tight environment when not worn. Do not store jewelry in the bathroom due to humidity. Storing jewelry in a zip lock baggie with an anti-tarnish strips is a great way to help reduce tarnish. If your jewelry becomes tarnished use a silver polishing cloths that are treated with tarnish removing agents work great. DO NOT use liquid dipping type jewelry cleaners. They are abrasive and damage stones and pearls. Thank you! -Select your options from the drop down menu on the item to be ordered. -Include any custom order instructions ( example: name for necklace / initials for charm / birthstone choice...) in the Note From the Buyer box, located in the check out area. If you have any questions feel free to message me via the Etsy message system. Thank you kindly! -Every persons size is so unique. If possible, measure one of your necklaces or bracelets to assist in choosing a suitable length. -Sizing for Children - just like adults, sizes vary greatly for kids. If possible, take a measurement of your child to insure best fit. If not possible - many of my child jewelry items have size guidelines in the item details. They are guidelines only, however I have found that they seem to be pretty accurate based on customer feedback. Production time varies depending on order volume. Please see shop announcement for current production time. **If choosing the Priority Mail shipping option OR Express mail > Please message me BEFORE purchase to so I can make sure I can accommodate your request. -Sending your purchase as a gift? I will be happy to add a note card for you. Please leave your brief gift message in the "Note from the Buyer" box - located in the Etsy checkout/payment area. IMPORTANT: Please be sure to change the "Ship To" address to the giftees address here on ETSY. The "ship to" address on your ETSY invoice is where the package will be sent to. I will not include the invoice in the package for gift orders. -Please contact me via Etsy message BEFORE ordering to insure that I can accommodate your time request. -I will need to know when you need your order by. -You need to select Priority Mail OR Express for the shipping option - however, you must message me BEFORE purchase to insure that I can accommodate the rush order. Please contact me via Etsy message system if you have questions. Personal calls are not made due to time zone differences as well as needing a written account of order requests and order details. TIME ZONES: I will return your message just as soon as I am able. Please keep in mind that I am in Washington state and on Pacific Time. WEEKENDS: I do take time away from my computer and shop on weekends. So with that in mind, messages responses may be delayed on weekends. Thank you for understanding! INTERNATIONAL ORDERS - I can ship to most international countries on request. Shipping varies from 10.00 - 15.00 depending on location. Import duties, taxes, and charges are NOT included in the item price or shipping cost. These charges are the buyer's responsibility. Please check with your country's customs office to determine these fees. If you would like an order shipped Internationally.... please let me know so I can add International shipping to the items shipping profile.